A short drive from Vancouver and then just a quick boat ride; there lies a watershed that has hardly felt the influence of modern society. The upper Pitt River is a far cry from its turbid southern cousin, the lower. A glacier fed, medium- sized river the upper Pitt River has a feel of utter remoteness. Only the excellent fishing challenges the sheer beauty of the area. 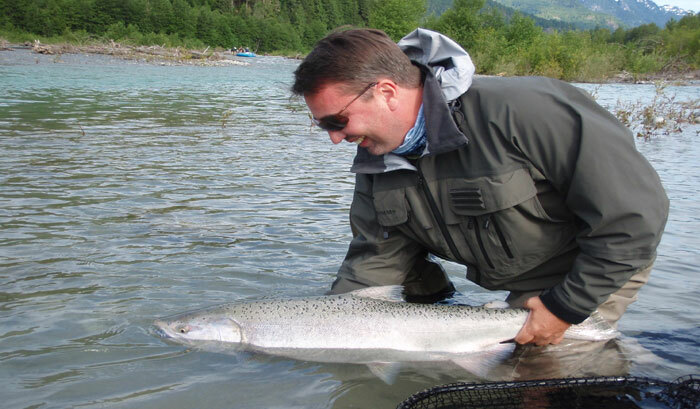 As with most coastal rivers, the fishing can be quite seasonal, relying on Salmon and Steelhead returns. 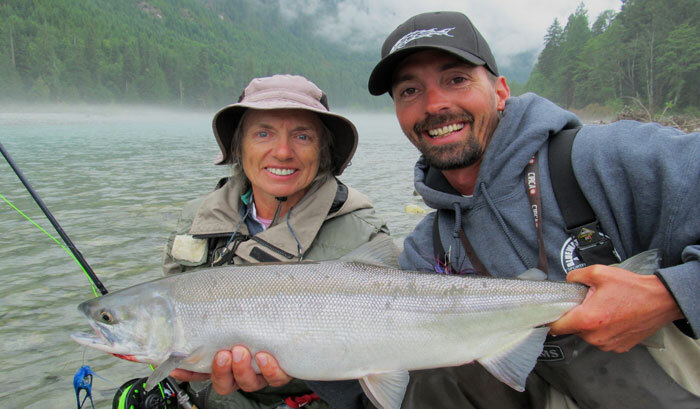 However, the upper Pitt River boasts a strong resident population of trout provides the opportunity for you to catch Dolly Varden, Bull Trout, Rainbow and Cutthroat Trout, thus making for excellent fishing at any time of year. Great River Fishing Adventures guides have many years’ experience fishing this watershed and are knowledgeable about the area and effective techniques to target all species. 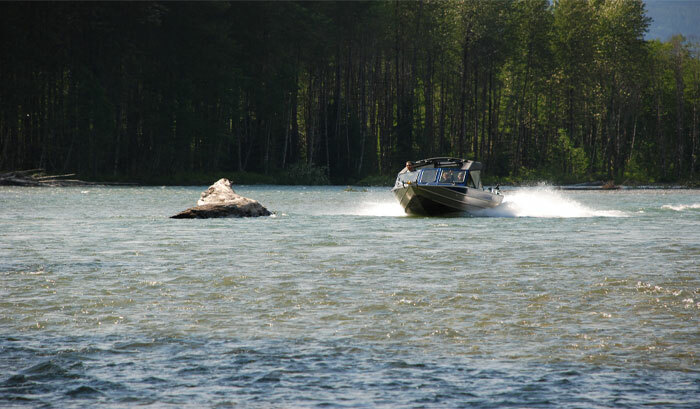 As Jet Boats and experienced boat handling skills are required to access and fish this river, you rarely see other anglers, and more importantly this area is not over fished. It is truly an adventure that is easily accessible within a day from Vancouver. 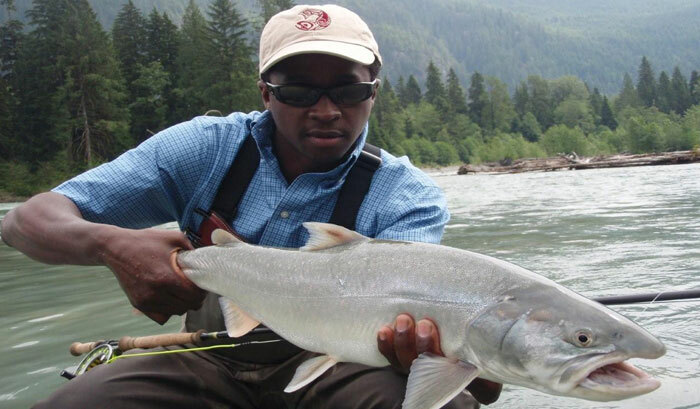 The Sea-Run Bull Trout are very aggressive and they will test your skills as you determine what they will do next. Most of our guests enjoy using single handed fly-rods but light Spey rods can bring an extra challenge and excitement to an already unbelievable experience. 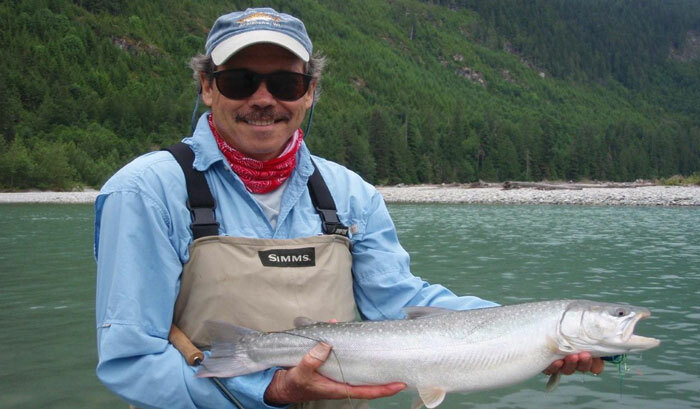 Sea-run Dolly Varden and Cutthroat Trout are also available as they join the Sea-Run Bull Trout awaiting the Sockeye and the upcoming bonanza of fish eggs. Beginning in June the Chinook Salmon are the first to enter the river followed by the Sockeye in August.The beginning of August arrives and the Sockeye Salmon begin to enter the Pitt River. 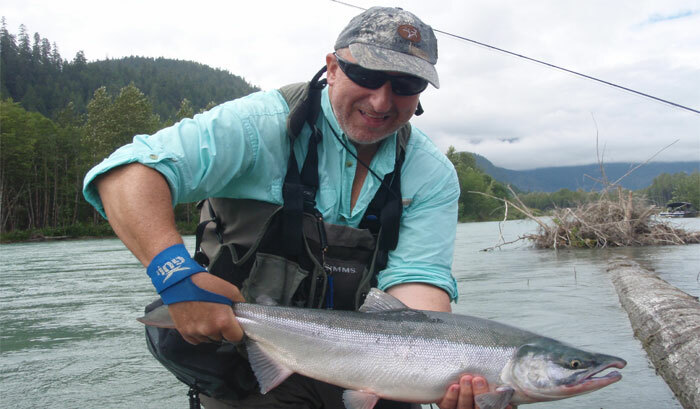 The Pitt River is known for having one of the largest strains of Sockeye Salmon in the world and they are the only strain to steal the fly. Coho enter the river in October and these fish are silver from the sea and ready to do battle with you and they love to fight, jump and steal your line. Coupled with the Sea-Run Bull, Cutthroat Trout and Dolly also available this trip should be on every anglers Must Do List.